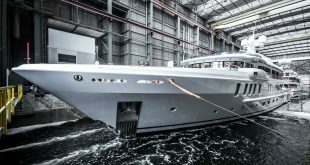 Perini Navi, the Italian builder long renowned for its sailing yachts, has launched its first-ever planing motoryacht: the 83-foot Eco-tender. 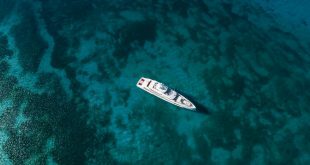 The Eco-tender came to be after owners of a 170-foot Perini Navi sailing yacht went to the builder looking to size up. 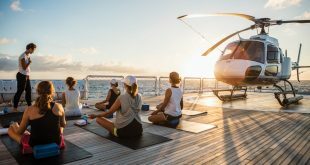 As Perini Navi’s team talked with the owners, they realized “what they really wanted was not a bigger boat, but more flexible cabin space to accommodate single guests or children. 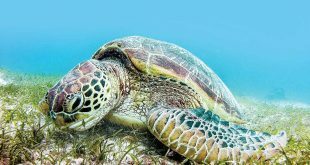 As they prefer to anchor offshore, they also wanted to explore closer inshore in something more substantial than a conventional RIB,” according to a press release. The Eco-tender is built with four-mode hybrid propulsion that Siemens developed. Diesel mode, with twin MAN engines and Hamilton water jets, reportedly pushes the Eco-tender faster than 30 knots. There’s also hybrid mode, diesel-electric mode and zero-emission mode. In zero-emission mode, according to the builder, the Eco-tender is “completely silent” and motors at 8 knots for as long as an hour. 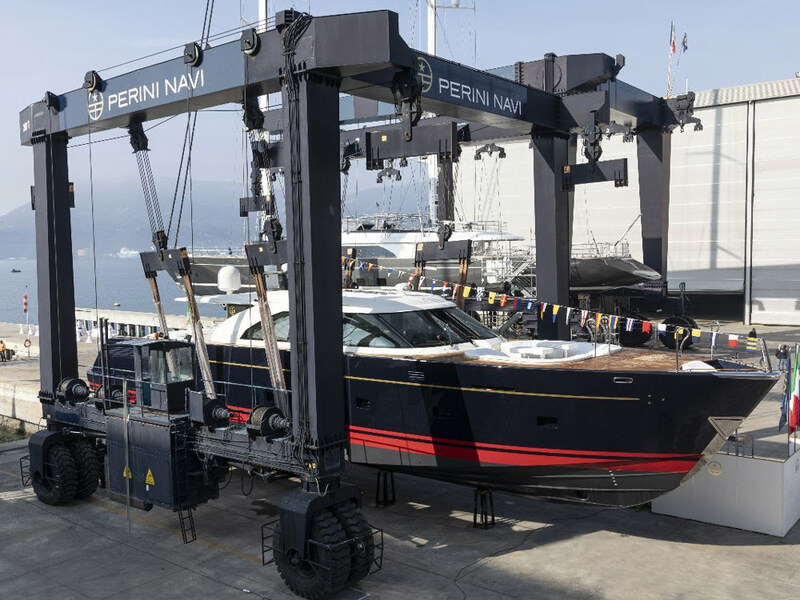 “This is the first time such an avant-garde hybrid system has been installed on a superyacht tender,” Luca Boldrini, sales director for motoryachts at Perini Navi, stated in a press release. Also on board is an I-Bridge Multitouch navigation system from Team Italia. It lets owners control all onboard systems through 4K touch screens with augmented reality. Delivery of the Eco-tender to her owners is expected in April. Photo-ready foredeck: The owner’s hobby is nature photography, so Perini Navi built a sunken dinette in the foredeck. It serves as a viewing area where he can take pictures.